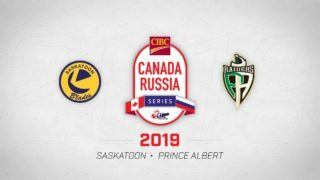 CALGARY, AB – The Saskatoon Blades enter the 2016 WHL Bantam Draft on the verge of breaking through the proverbial ceiling that has been a significant rebuild and entering into sustained success in the WHL. 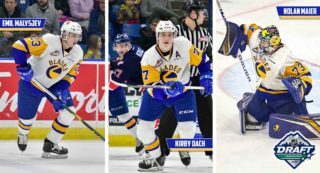 With the 3rd overall pick in hand, the pick is perceived to be the final piece of the puzzle for the Blades who are looking to return to the playoffs for the first time since 2013. Duncan Siemens was selected 3rd overall by the Blades in 2008. This is the 1st time the Blades have chosen in the Top 5 since 2008 when the club selected Duncan Siemens 3rd overall in 2008. A physical force on the blue-line, Siemens anchored the Blades backend during his four year tenure with the Blades. A future captain of the team, Siemens was taken 11th overall in the 2011 NHL Entry Draft by the Colorado Avalanche. Blades management is hoping to find the same caliber of player with this year’s pick. When asked whether the team would consider moving the 3rd overall pick, Woods simply said it would need to be something “exceptional” for them to move out of that spot. 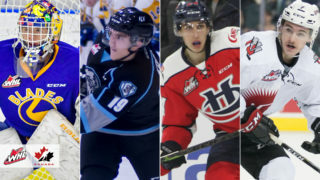 Since 1997, the Blades have only selected in the Top 5 six times, taking players such as Charles Inglis (4th – 2007), Colton Gillies (2nd – 2004), and Devin Setoguchi (5th – 2002). Outside of the 1st round, the Blades hold two selections in the 2nd round, a significant opportunity to fill much needed depth in what scouts are calling a well balanced draft. Chase Wouters – Blades 2015 1st Round Pick. 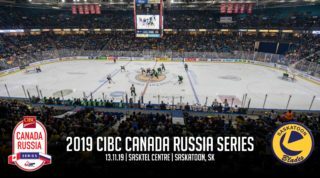 After many months of scouting, travelling, and cold minor hockey rinks, the draft is a rewarding time for management and scouts who will return to Saskatoon with a near dozen new Blades. 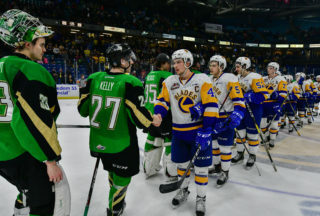 Notable previous 3rd overall picks include: Brendan Guhle (2012), Griffin Reinhart (2009), Mark Pysyk (2007), Thomas Hockey (2004), Mark Fistric (2001). For more information on the WHL Bantam Draft, click here.